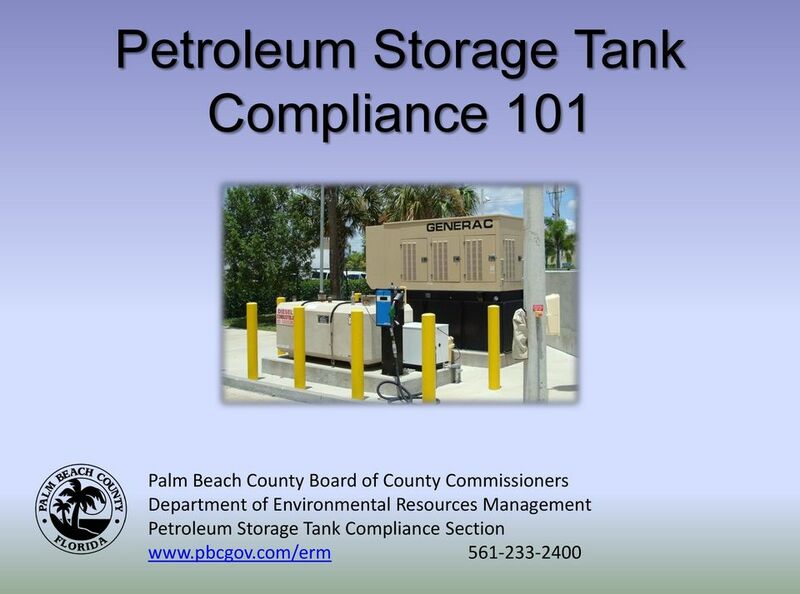 Download "Petroleum Storage Tank Compliance 101"
7 Florida Department of Environmental Protection Registration Placard A current registration placard must be on site in a visible location. 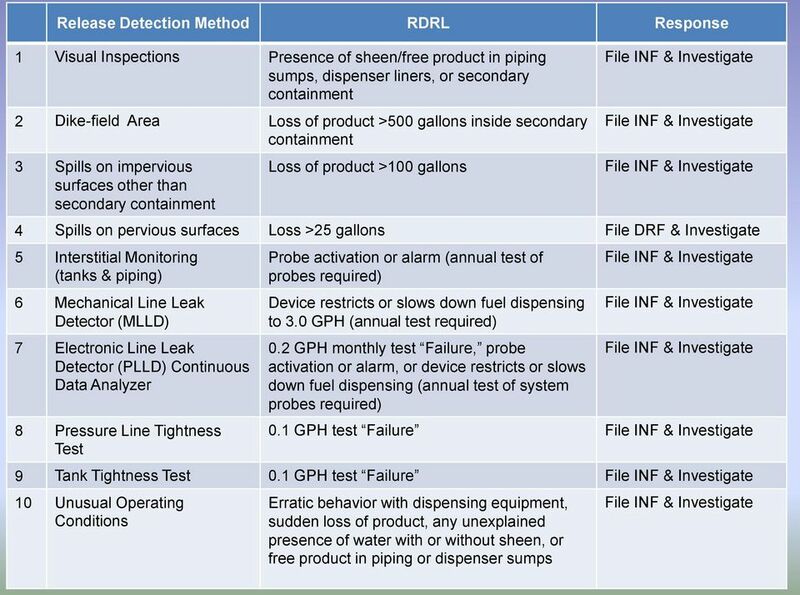 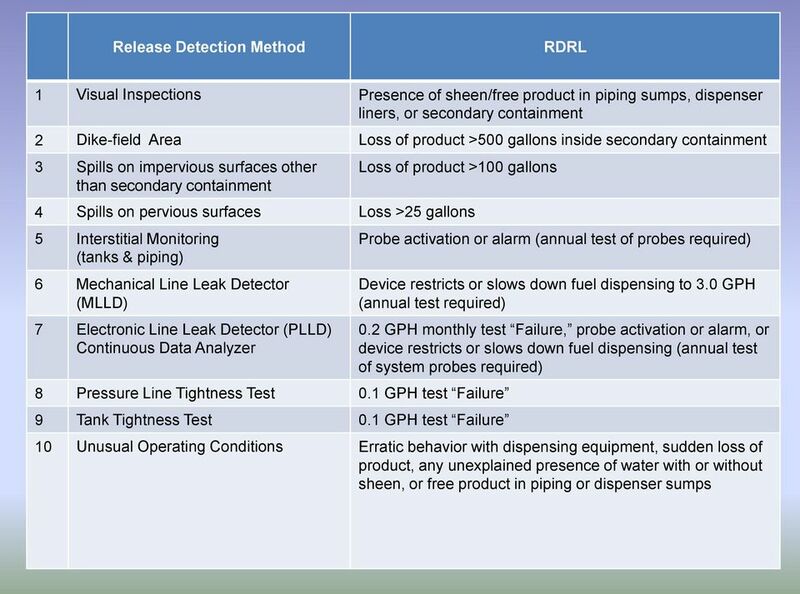 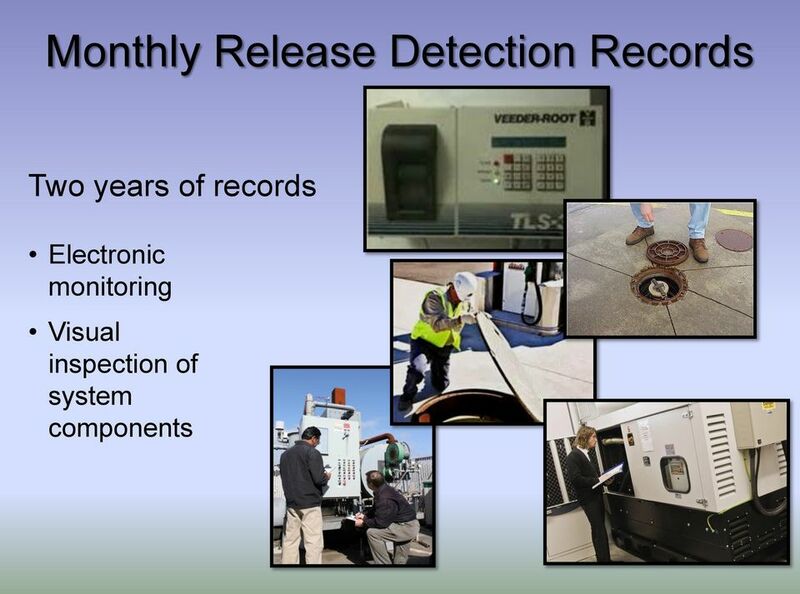 13 Release Detection Response Level In accordance with Rule and Rule , Florida Administrative Code (FAC), the above referenced facility establishes the following Release Detection Response Levels (RDRL): If a release is suspected, an investigation will be conducted to determine whether the situation is the result of a leak or if can be explained otherwise. 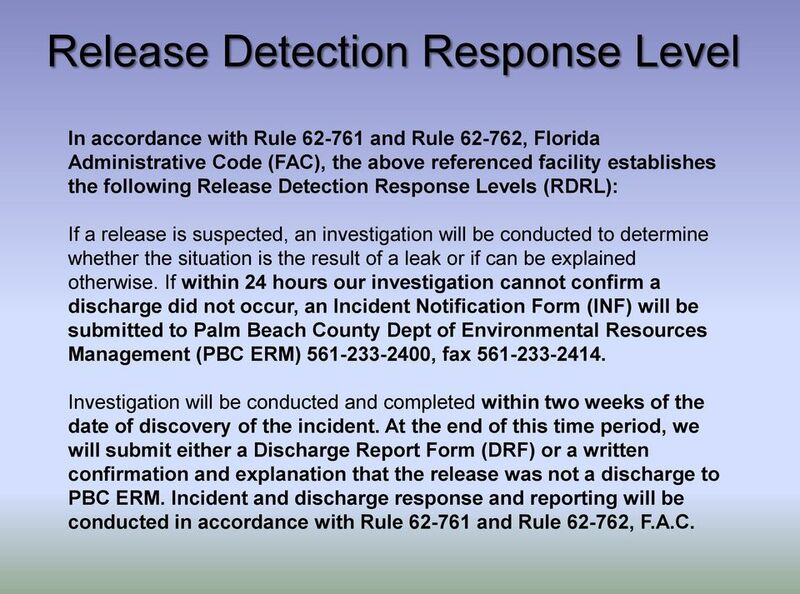 If within 24 hours our investigation cannot confirm a discharge did not occur, an Incident Notification Form (INF) will be submitted to Palm Beach County Dept of Environmental Resources Management (PBC ERM) , fax Investigation will be conducted and completed within two weeks of the date of discovery of the incident. 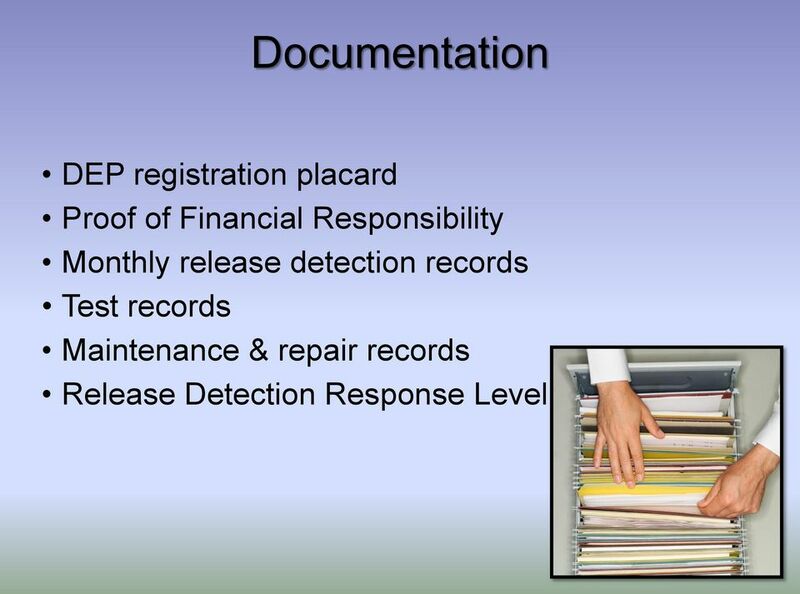 At the end of this time period, we will submit either a Discharge Report Form (DRF) or a written confirmation and explanation that the release was not a discharge to PBC ERM. 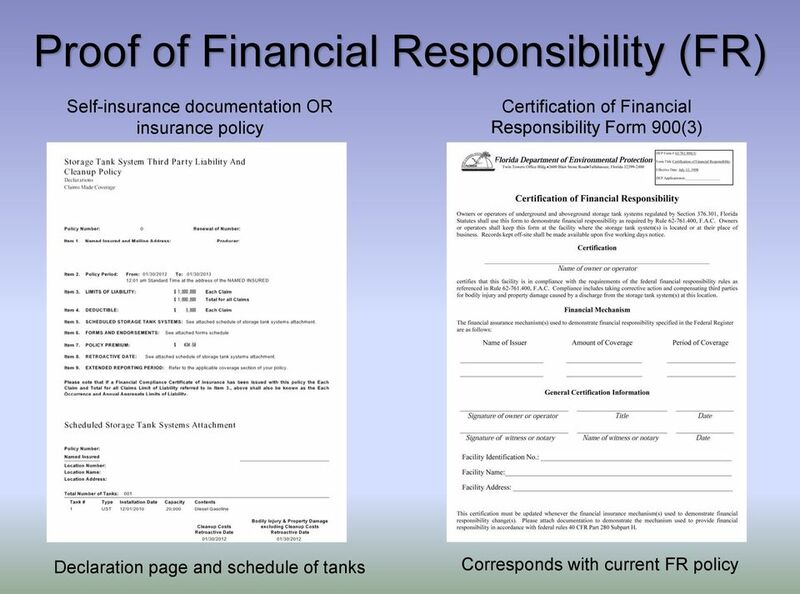 Incident and discharge response and reporting will be conducted in accordance with Rule and Rule , F.A.C. 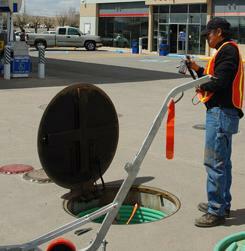 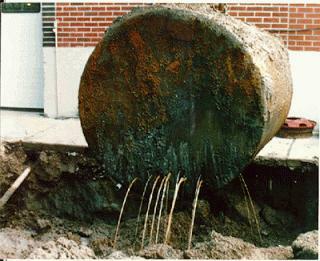 16 Storage Tank Components Piping Sumps Designed to contain fuel that leaks from primary piping into secondary piping. 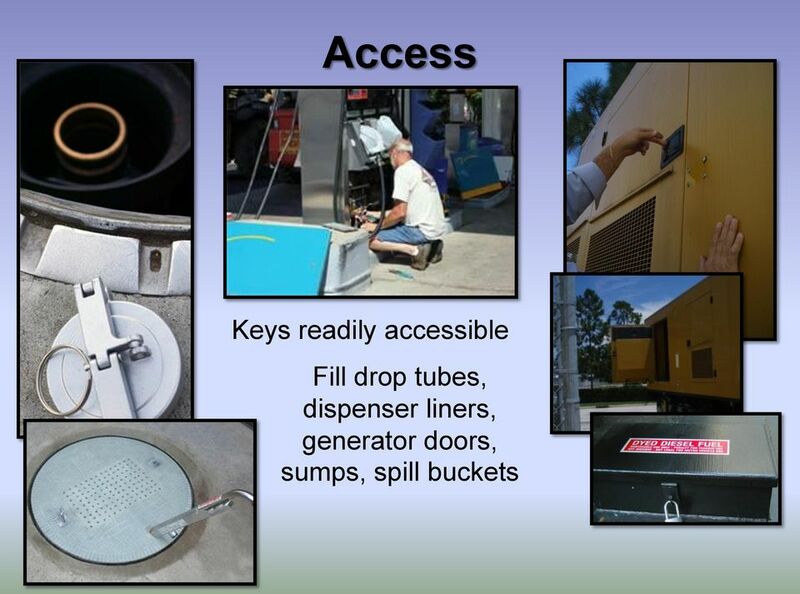 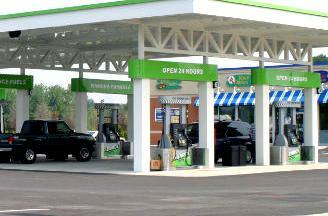 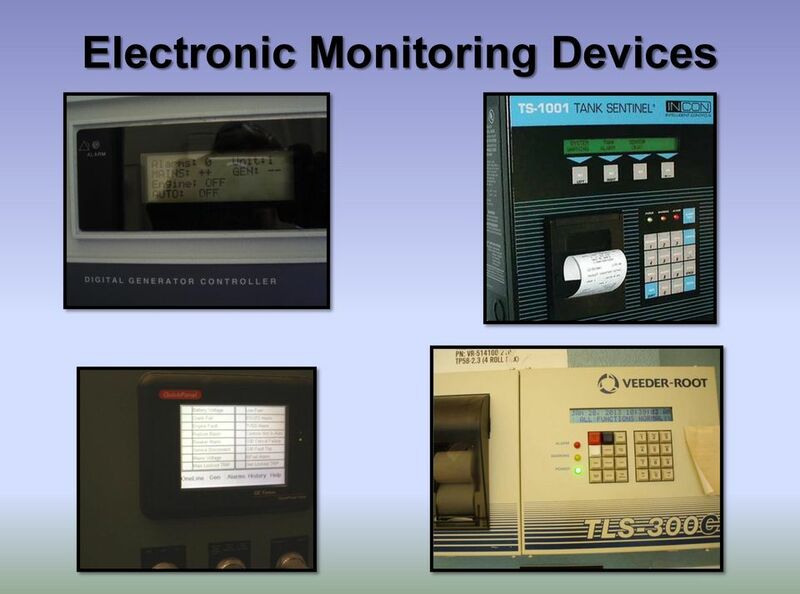 Check for water intrusion, fuel, secondary piping opening, sensor placement. 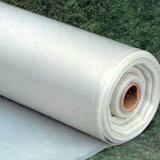 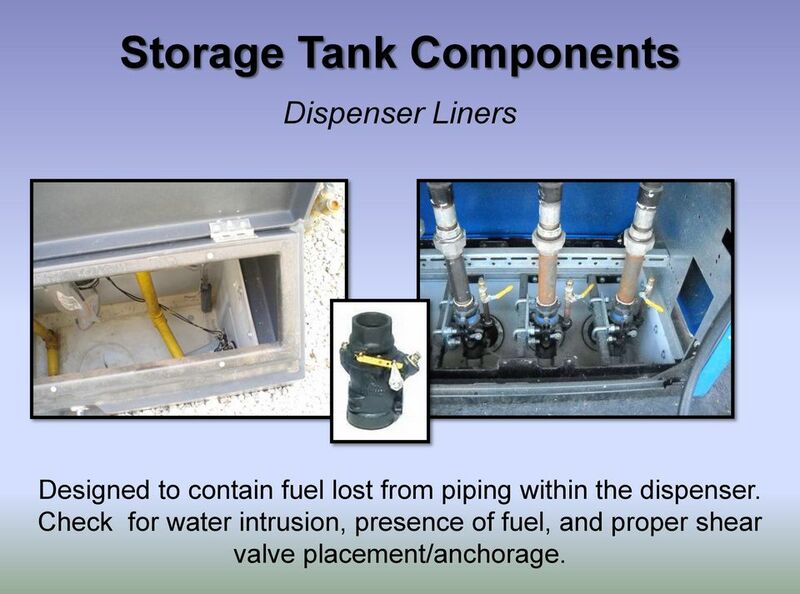 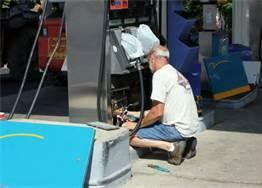 17 Storage Tank Components Dispenser Liners Designed to contain fuel lost from piping within the dispenser. 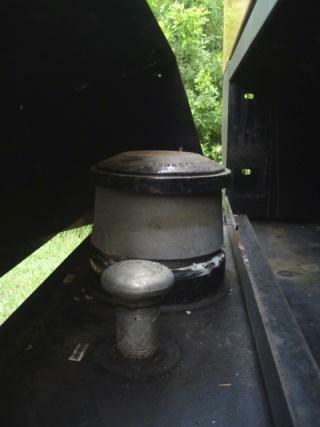 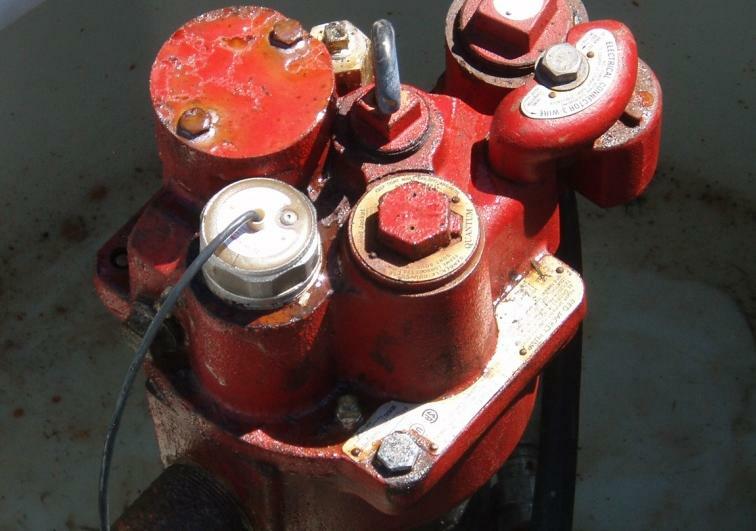 Check for water intrusion, presence of fuel, and proper shear valve placement/anchorage. 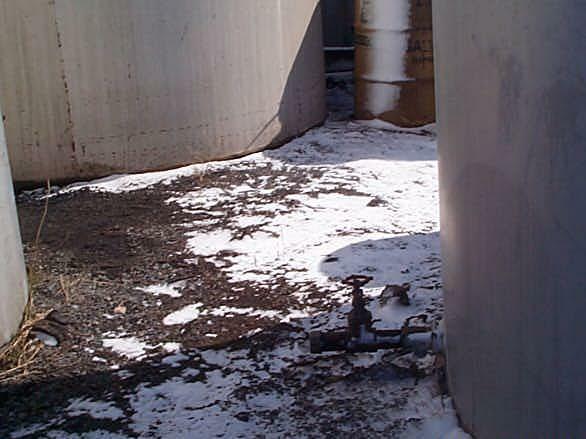 18 Storage Tank Components Spill Containment and Overfill Protection Spill containment must be maintained clean and dry to allow accurate inspection for cracks or any integrity issues. 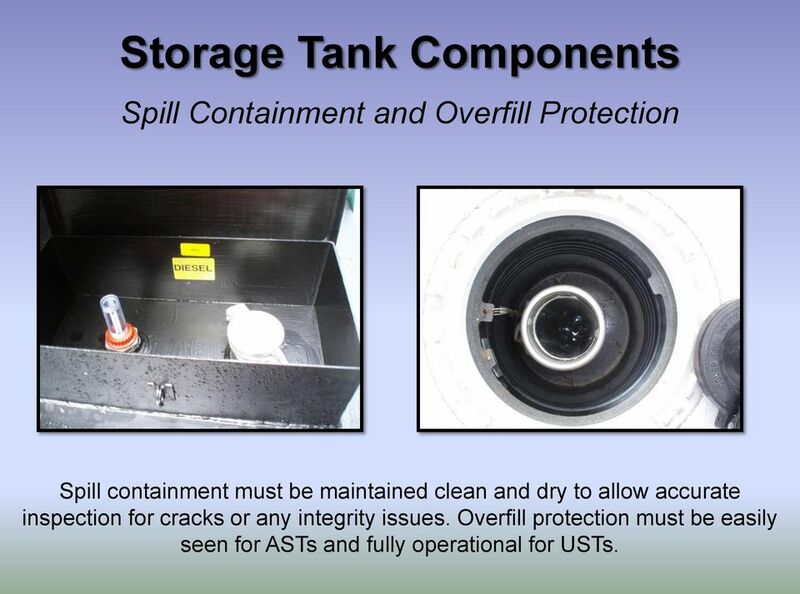 Overfill protection must be easily seen for ASTs and fully operational for USTs. 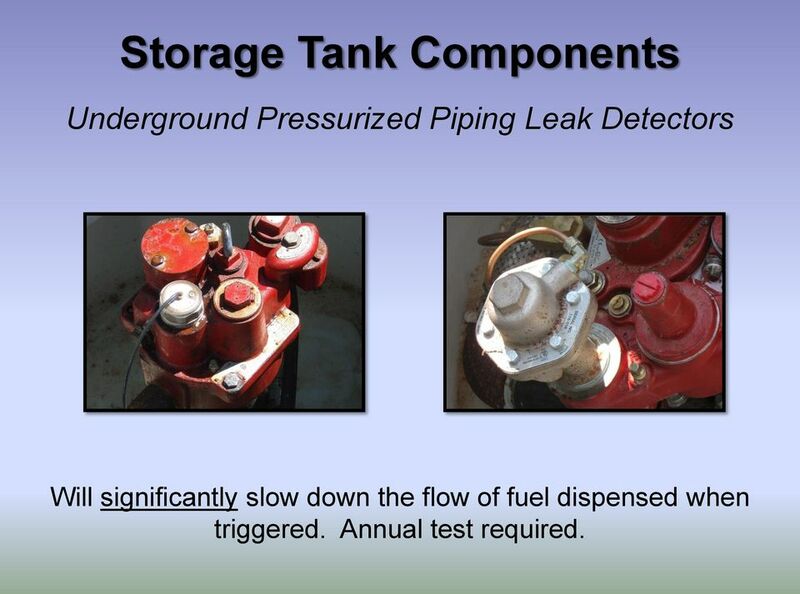 19 Storage Tank Components Underground Pressurized Piping Leak Detectors Will significantly slow down the flow of fuel dispensed when triggered. 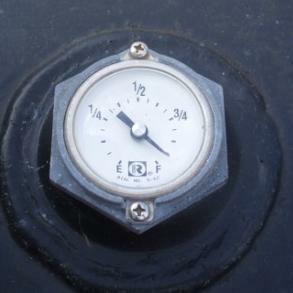 Annual test required. 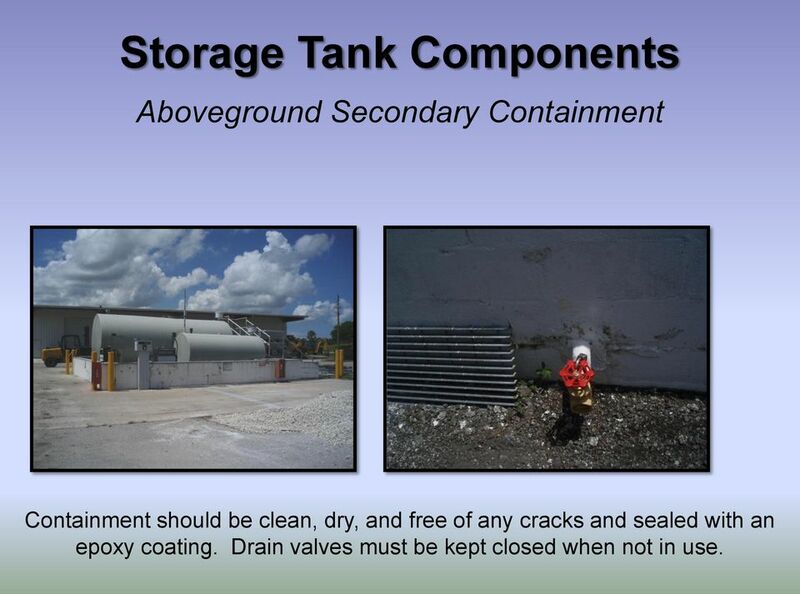 20 Storage Tank Components Aboveground Secondary Containment Containment should be clean, dry, and free of any cracks and sealed with an epoxy coating. 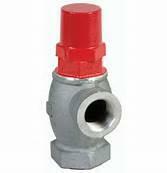 Drain valves must be kept closed when not in use. 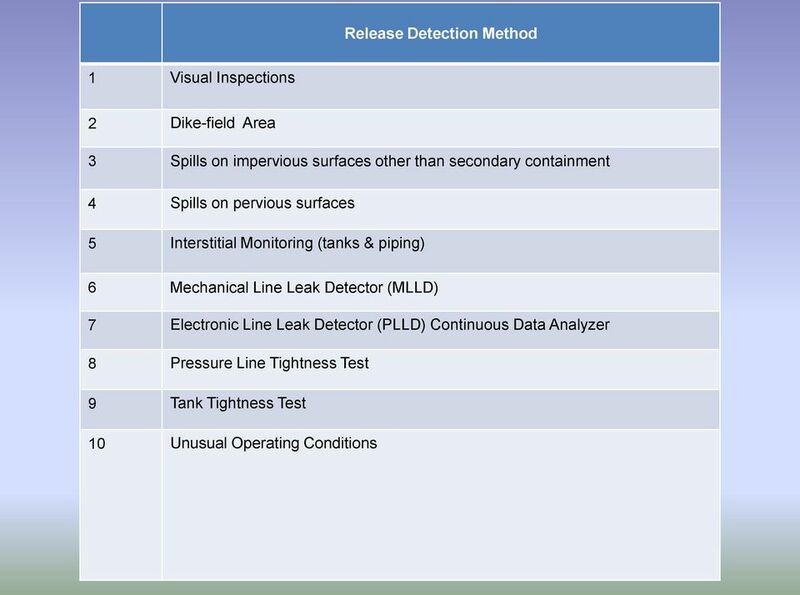 21 Storage Tank Components Aboveground Double Wall If an electronic or mechanical device is used to monitor the secondary tank, an annual operability test is required. 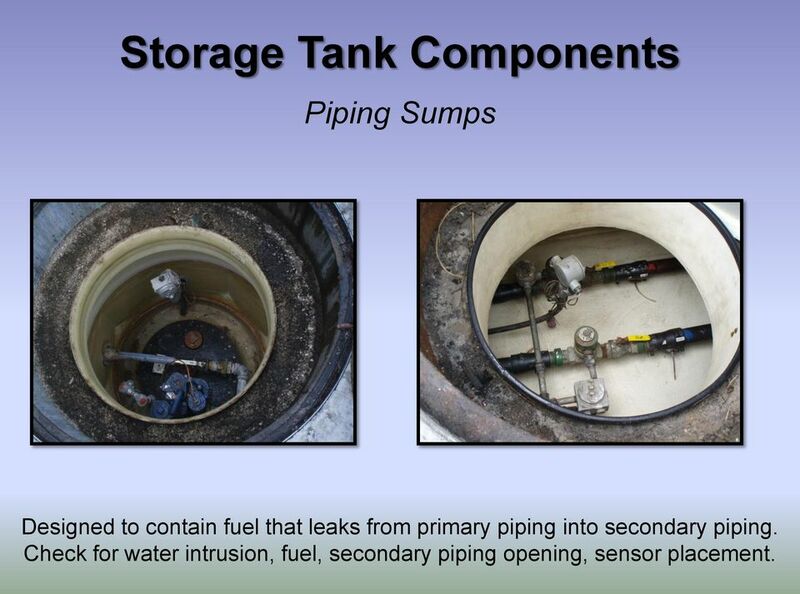 22 Storage Tank Components Anti Siphon Valves An anti siphon valve is required on all aboveground tanks that have piping which runs below the tank level that is not in containment. 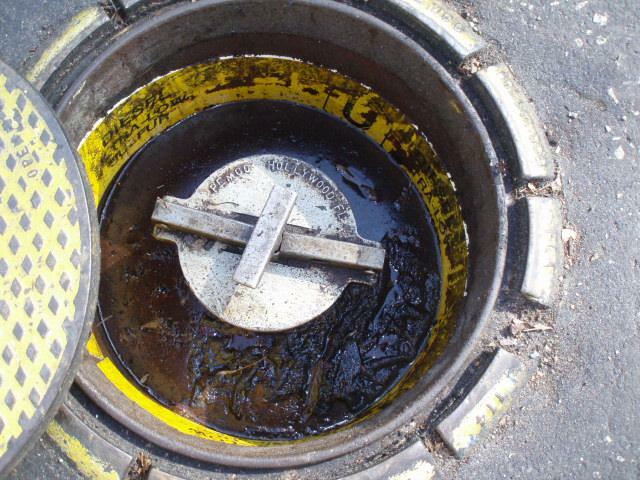 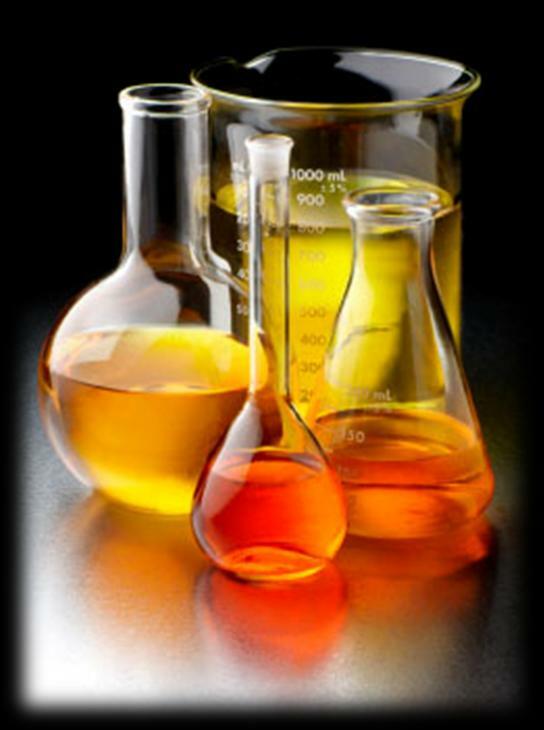 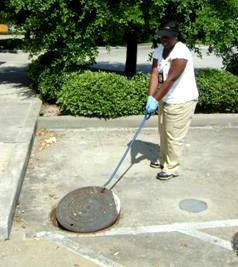 23 Petroleum Contact Water Petroleum contact water must be disposed properly - it cannot be discarded on the ground. 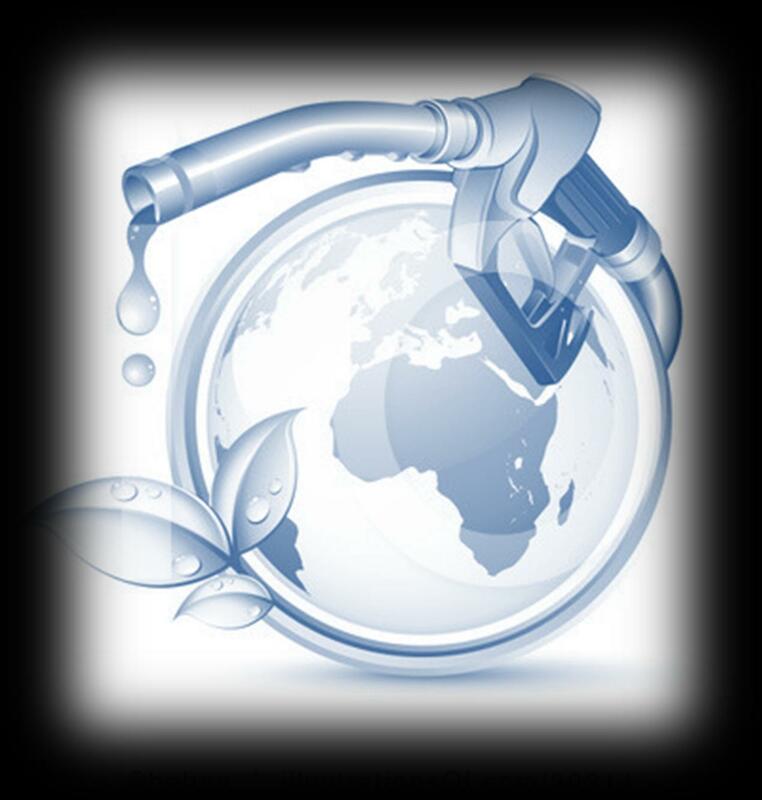 Keep your manifest as proof that you have properly disposed of it. 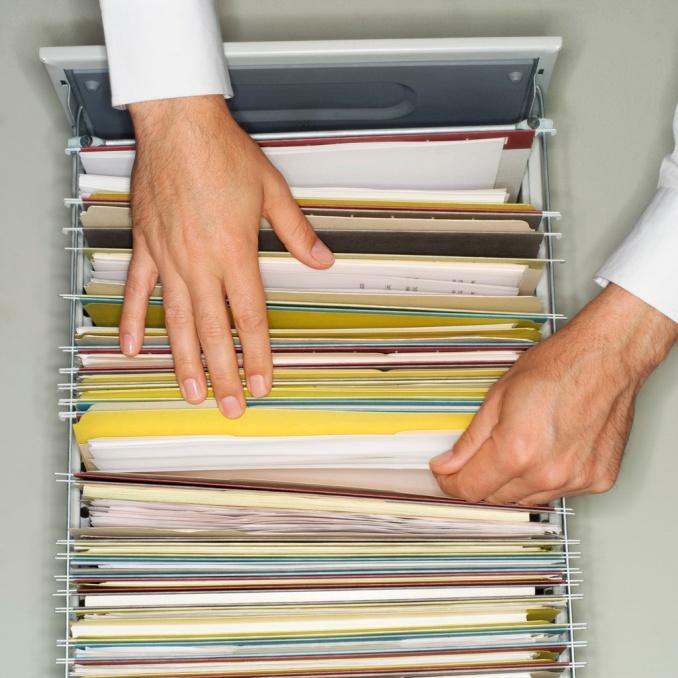 31 Conclusion Know your system-all of it! 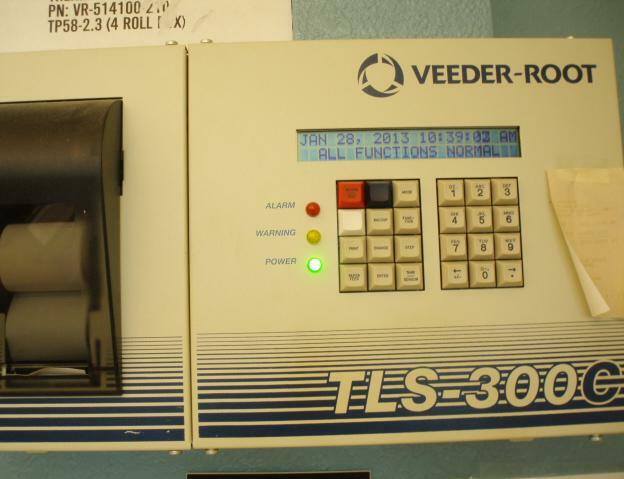 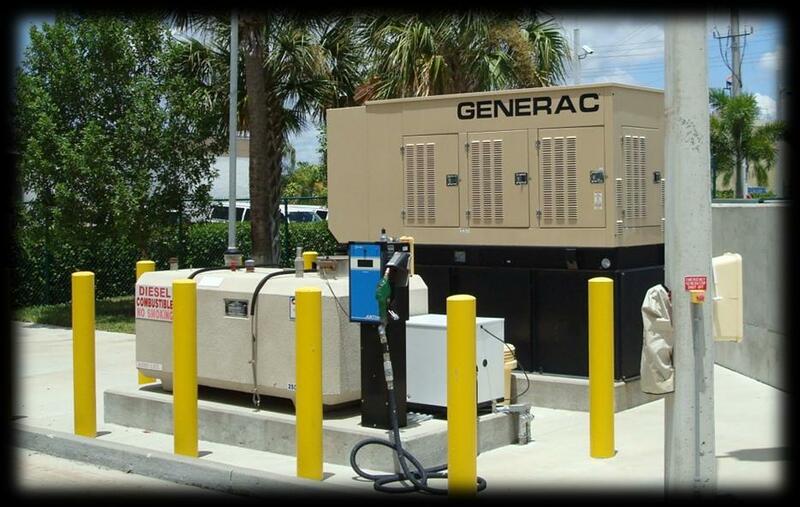 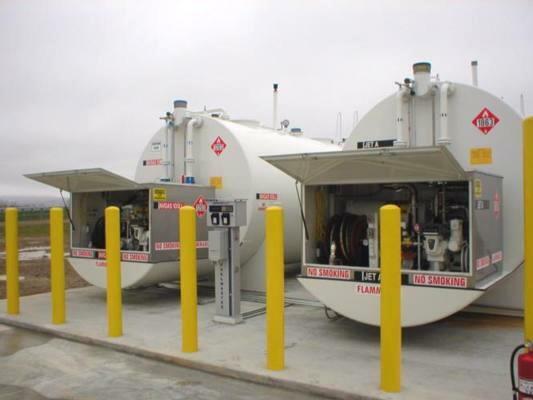 Your storage tank system has important components which will let you know when trouble is around the corner so that you can take the appropriate response.  It all means something so pay attention. 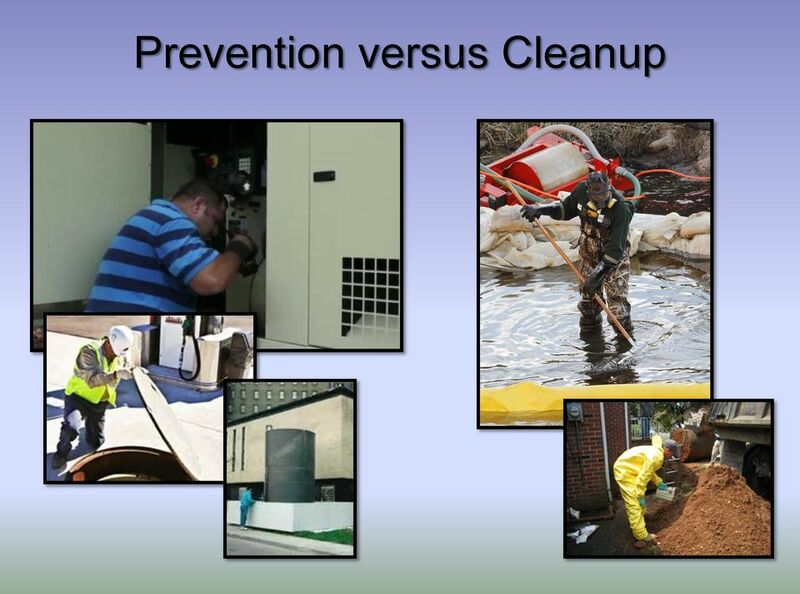 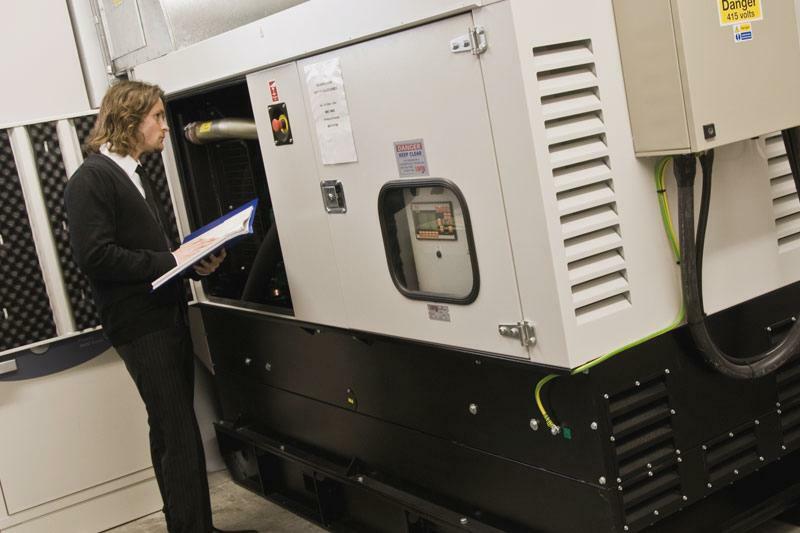 If in doubt, find out- call your inspector they are there to help you! 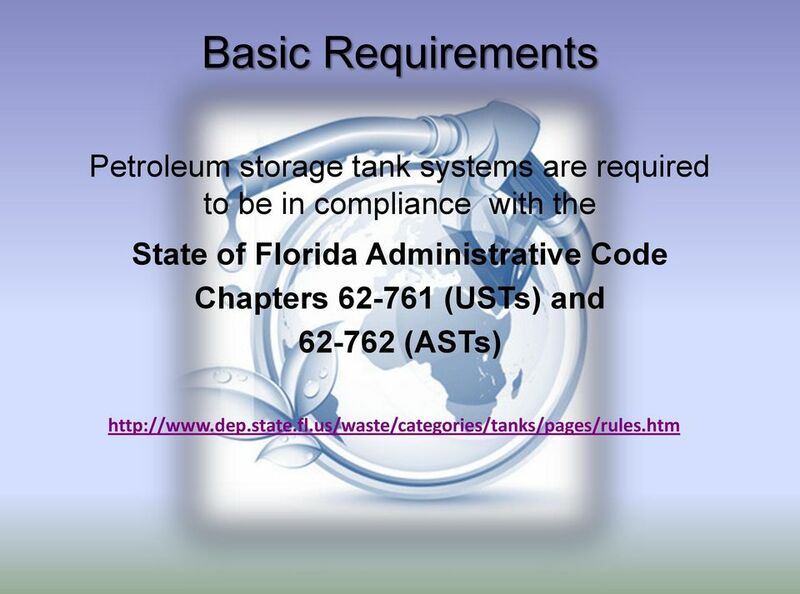 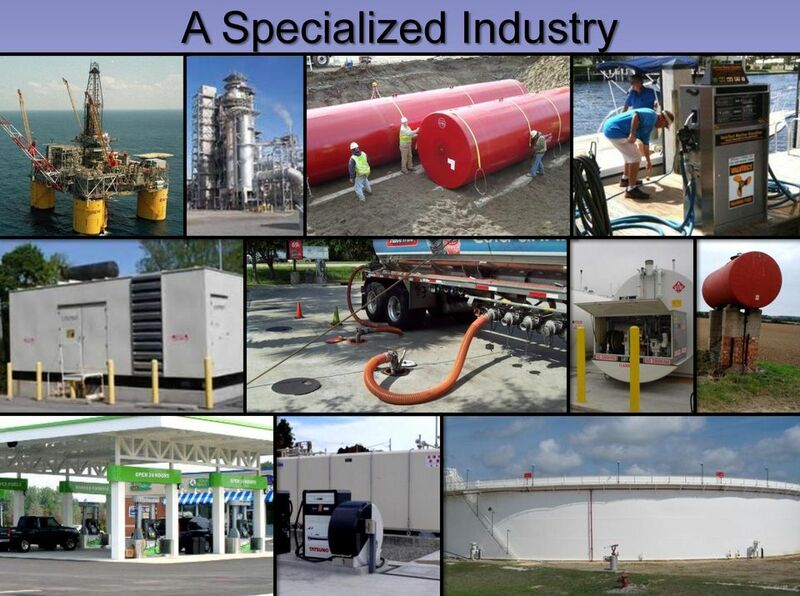 Hazardous Materials Storage Tanks Management. 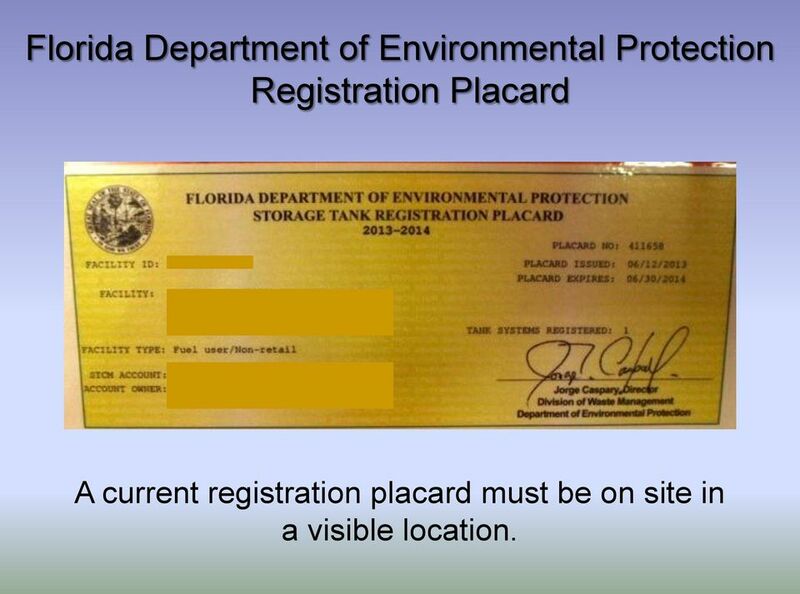 Procedure Date of Issue: 15.01.27. Table of Contents. 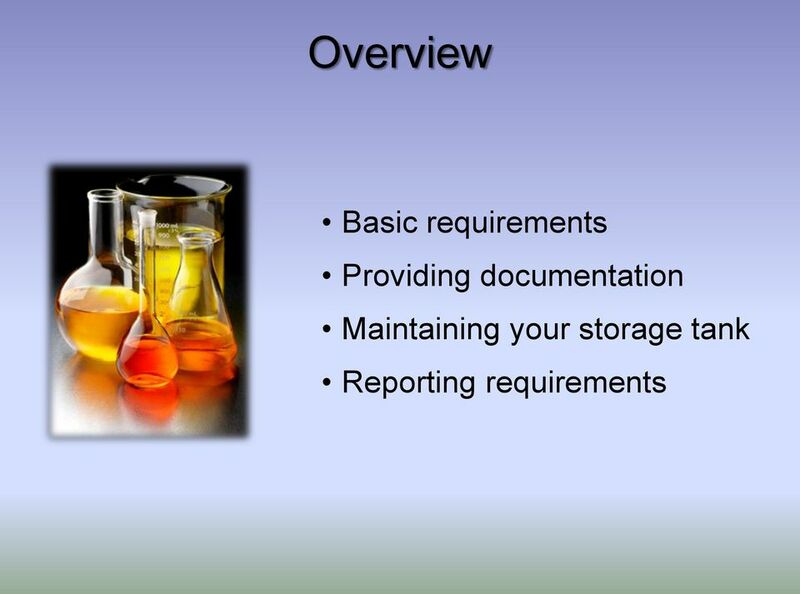 UBC.EMS Advisory Committee.ENV.Procedure.